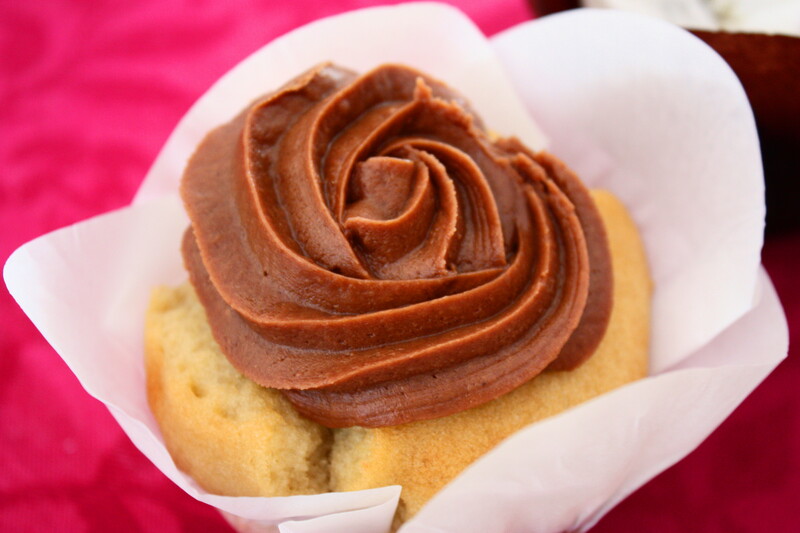 CooperCakes: Stealthy-Healthy Cupcakes for Every Body! Cupcakes. Who could have predicted the craze that elevated this favorite dessert to celebrity status in recent years? Gourmet specialty shops have popped up around the country featuring every imaginable flavor of this bite-sized baked good, and consumers of all ages are wild for them. With all these cupcakes hitting the marketplace, one might wonder how anyone could still manage to produce an original take on this product. They are also low-glycemic making them diabetic friendly. Her two flavors, chocolate cake with vanilla frosting, and vanilla cake with chocolate frosting, have been an epiphany for consumers plagued by intolerance to certain foods, as well as those who are looking for a healthful alternative to classic sugar and fat laden cupcakes on the market. Her secret? The addition of pureed super fruits and veggies, along with a signature mixture of gluten-free flours and naturally occurring sweeteners that yield a light, fluffy-textured cake big on flavor without sacrificing an ounce of taste. 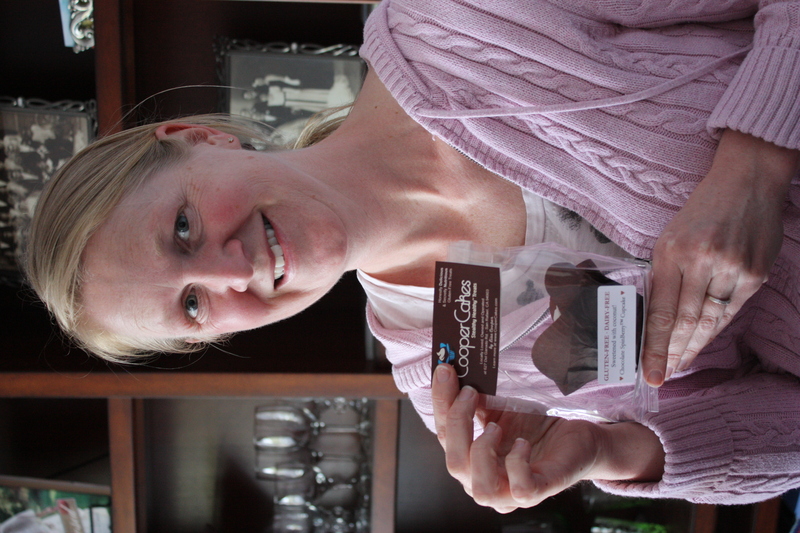 In fact, the fast-growing fan base of CooperCakes swear her version is hands-down tastier than traditional varieties. So tasty, that CooperCakes took home the Peoples’ Choice Award for Best Dessert at the Loving Spoonfuls Dessert and Soup Challenge in Marin this past January. Cooper, a thirteen year veteran in the San Francisco based corporate offices of Williams-Sonoma, backed into her new baking career through a series of life-changing events. In less than a year, she suffered the loss of a co-worker who was tragically murdered, and received the devastating news that two of her sisters were diagnosed with different rare terminal cancers. Cooper also lost her mother to a rare form of cancer years before. In the spring of 2010, Cooper took time off work to soul search and reevaluate her career path in the wake of these tragedies. “I kept thinking: What if the same destiny is mine? Is this where I want to put my energy in life?” She never went back to Williams-Sonoma, deciding to shift priorities and embrace a new role as stay-at-home-mom. Little did she know this new chapter would lead her on an unexpected journey. It all started when she wasn’t allowed to bring homemade cupcakes to her children’s elementary classroom celebration. She learned the Dixie School District in San Rafael had adopted a nutritional wellness policy limiting the amount of sugar & fat in any baked goods brought to school. A believer in making healthy food choices, Cooper joined the school’s wellness committee with an eye toward creating healthy alternatives to traditional baked goods that would meet committee standards. “I’ve always loved to bake,” she confides. “It was one of the ways I could give something to others that would connect us.” Cooper threw herself into the study of nutrition; reading voraciously, researching the internet, and meeting with nutritionists, teachers and other parents in a quest to find healthy alternatives to refined sugar and fat. She was also concerned about kids with common food allergies to wheat, gluten, nuts, and dairy, and wanted to create a treat that would be suitable for everyone to eat. With these parameters in mind, Cooper set to work developing recipes. She embraced the idea of including pureed super-foods like spinach and blueberries in her baked goods, enhancing nutritional value without compromising flavor or texture. Countless hours of experimentation later, Cooper perfected her “stealthy-healthy” cupcakes. 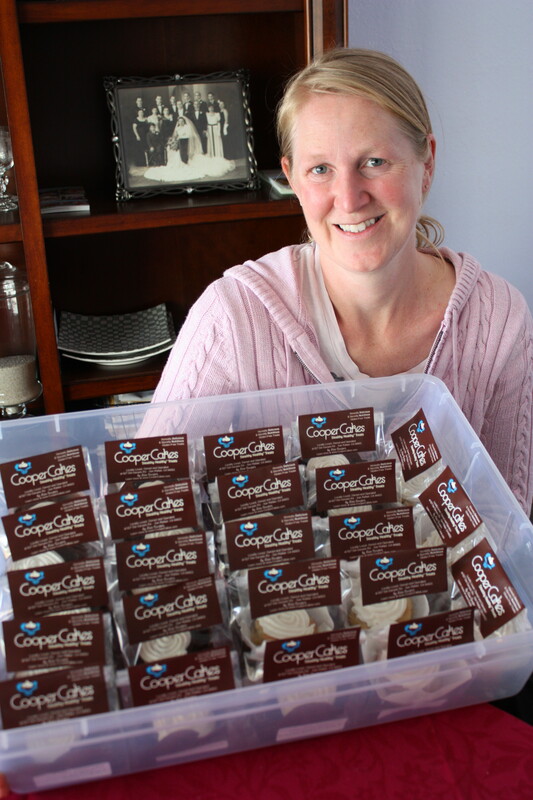 The public response to her product has been overwhelming, with CooperCakes literally flying off the shelves at select retail outlets in Marin County. When Cooper offered mini-cupcake tastings at this year’s Marin County Fair, her booth was swarmed with curious potential customers. “All 600 samples were gone within an hour!” she told me with obvious pride. 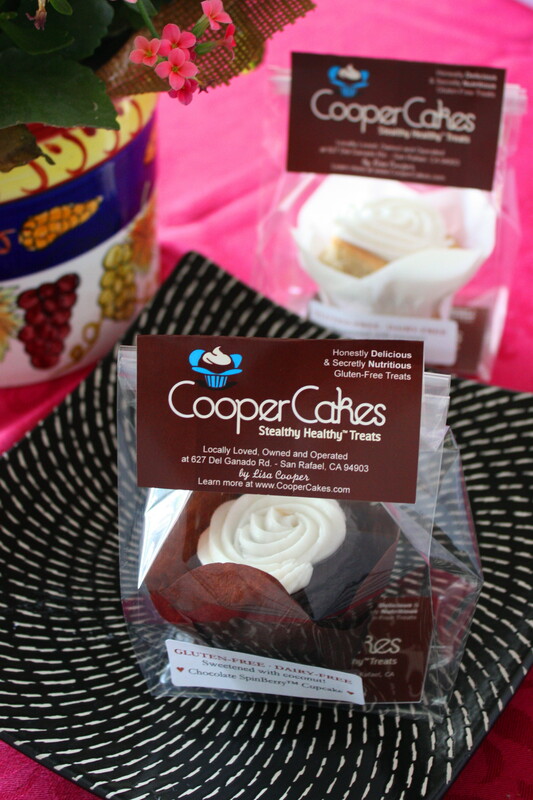 CooperCakes are available at United Market’s San Rafael and San Anselmo locations. They are “coming soon” direct to consumers from her commercial kitchen location, CaterMarin, at 627 Del Ganado in San Rafael. Lisa also accepts special occasion orders for cupcakes and cakes. Visit www.coopercakes.com for more information on placing orders. HOT TIP OF THE WEEK: Keep your eyes open down the road for more product offerings from Lisa Cooper, including gluten-free cookies!